MANILA, Philippines - Two senators have shown support for the Philippine Azkals on their much-awaited World Cup qualifying match against Uzbekistan on September 8, 2015 at the Philippine Sports Stadium in Bocaue, Bulacan. In separate tweets, Senators Sonny Angara and Pia Cayetano made known their interest in the forthcoming event, with the latter calling on fans to support the Philippine national football team during games. “Let’s support our Azkals in the World Cup qualifiers, esp in their hometown matches!” Cayetano tweeted to her 401,900 followers and attached a link to a Philippine Star article. Earlier, mixed martial arts (MMA) superstar Fil-Am Brandon Vera also tweeted to urge fans to support the Azkals and watch the game on September 8. Dan Palami, Philippine Azkals team manager, expressed appreciation over the support being given by well-known personalities to the national football team. “The Azkals need all the support not only from football fans but also from well-meaning citizens to motivate them to give their best when they face a tough Uzbeks team,” he said. The Azkals have won their first two World Cup qualifying matches against Bahrain, 2-1, and Yemen, 2-0. They are eyeing a third win against Uzbekistan but Palami has acknowledged that the Uzbeks are a formidable opponent. The Uzbeks are the top seed in Group H where the Philippines is bracketed but they lost to the North Koreans last June 16. Uzbekistan ranks 75th, the highest ranked team in the group, while the Philippines is ranked 125th, its highest place in the history of the FIFA rankings. 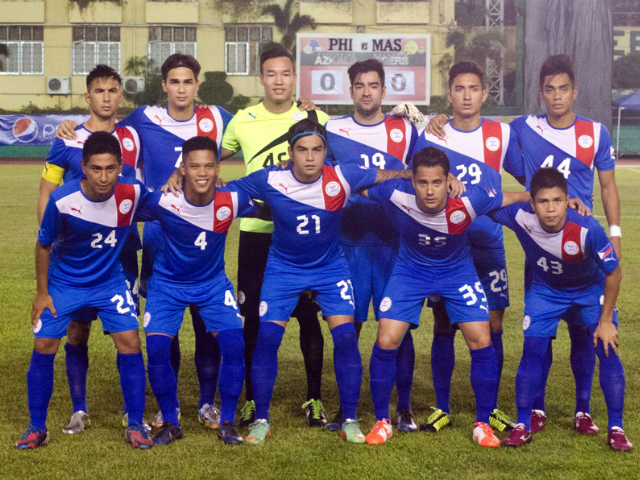 Tickets for the Azkals vs. Uzbekistan game to be held at the Philippine Sports Stadium on September 8, 2015 are now available at www.ticketworld.com.ph. Tickets are at P531.80 for Price Zone 1, P331.14 for Price Zone 2 and P125.40 for Price Zone 3.